With so many realtors out there, selecting one can be as stressful of a process as it is finding a house. It is a BIG decision and we could not have been happier choosing to work with Jill and Elly. 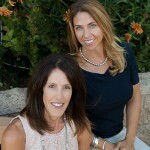 Jill sold our house in Aliso Viejo and helped us purchase our new house in Ladera Ranch. It was a stressful process to buy and sell at the same time, have the escrows close within days of each other, deal with some hiccups along the way, but Jill smoothly handled each hurdle to get the deals done. If you are looking for a professional real estate group, who also treats you like family, this is the team for you!